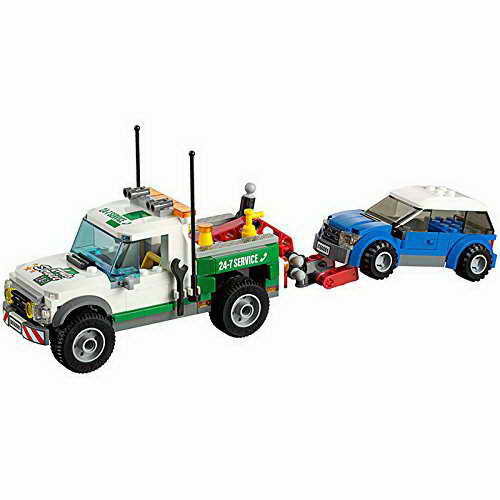 come with a tow truck with workable hoist and a car. 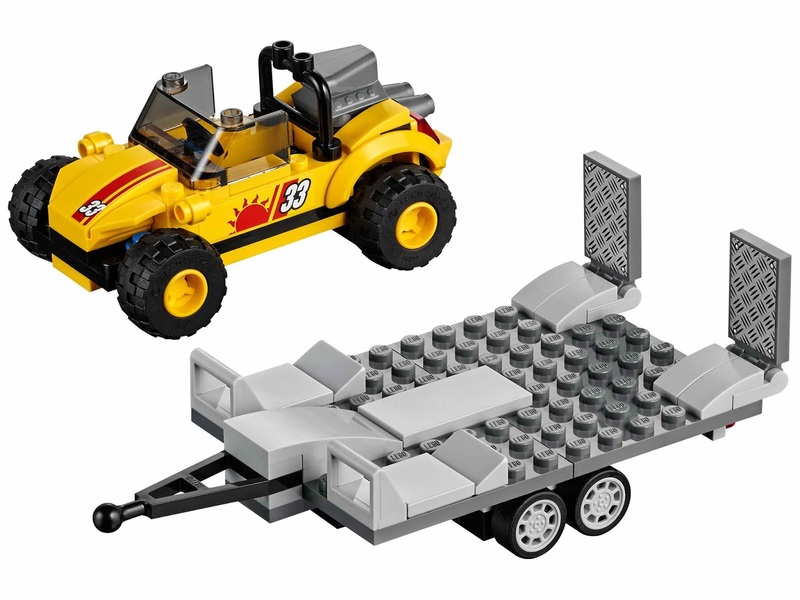 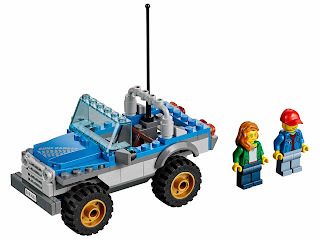 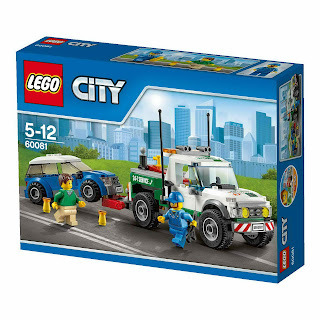 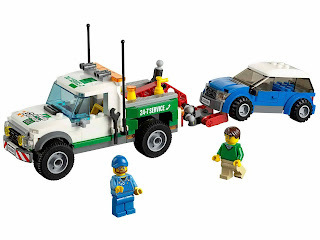 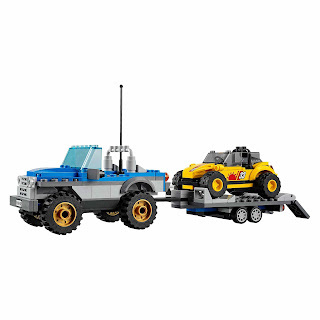 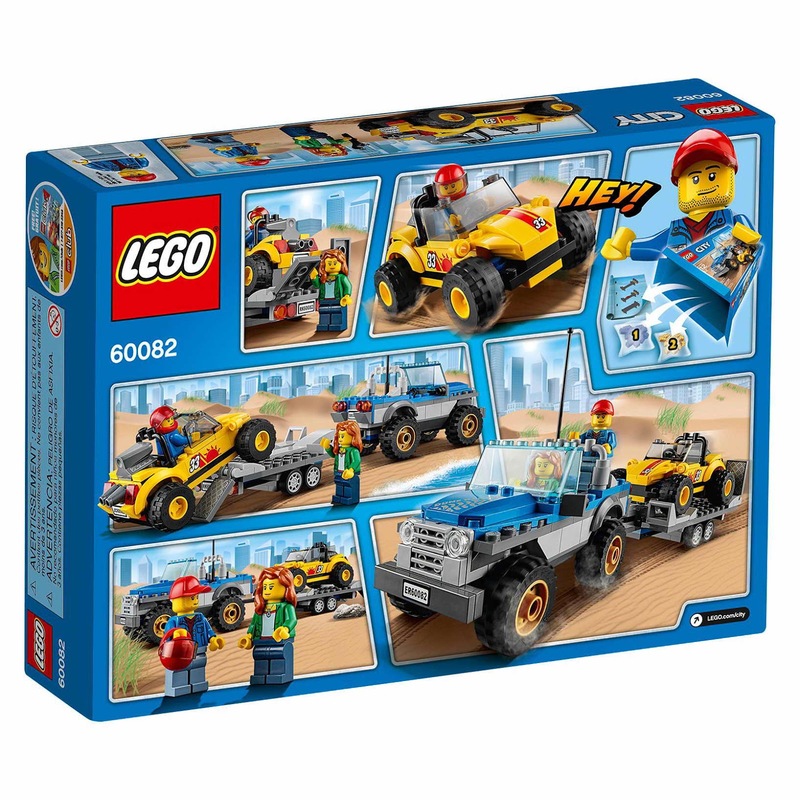 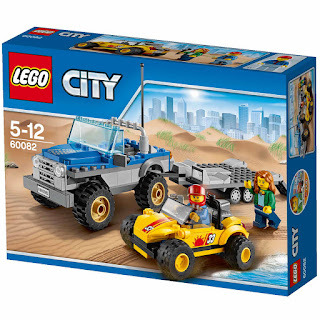 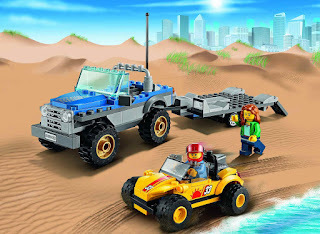 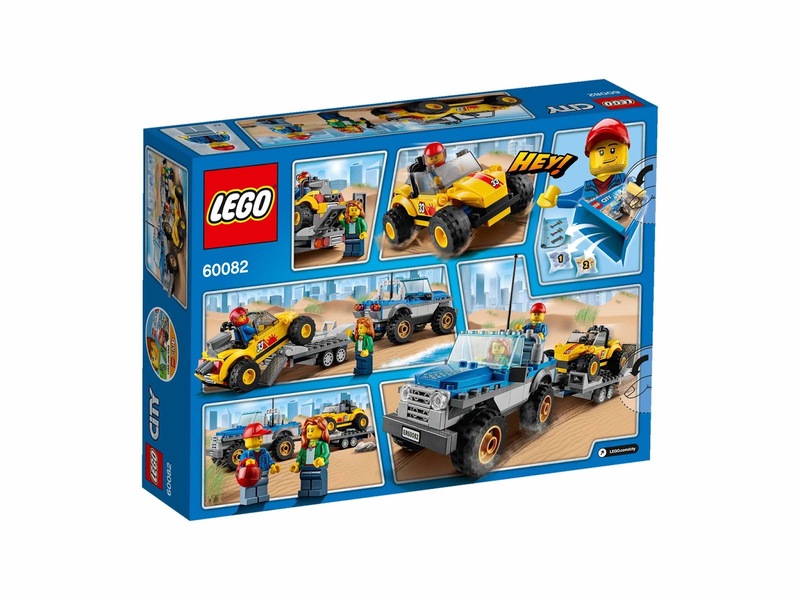 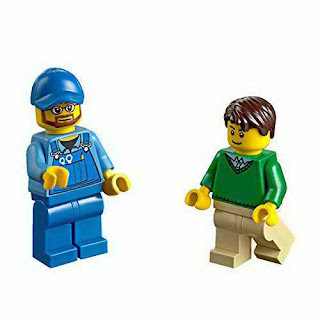 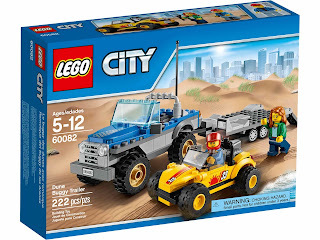 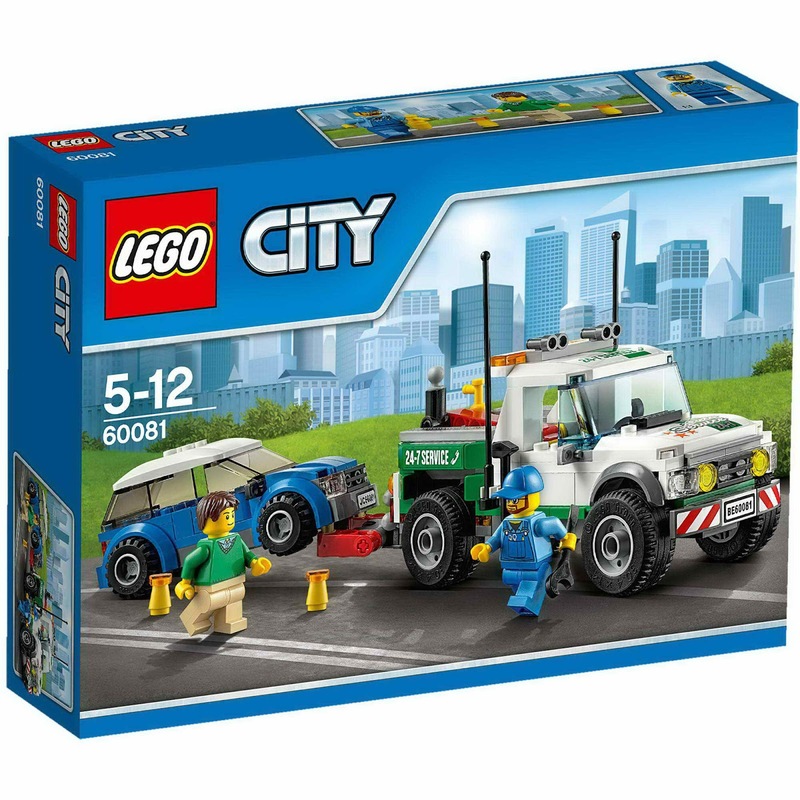 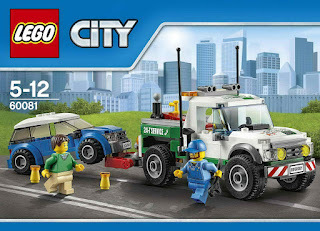 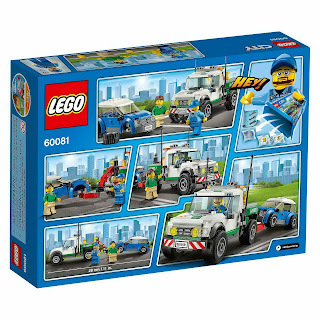 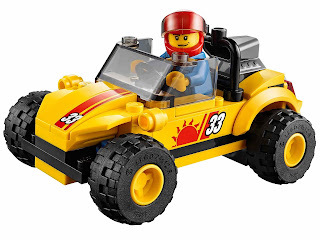 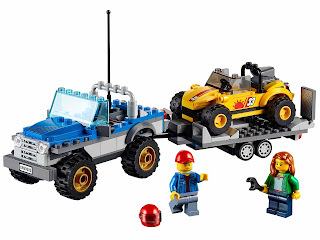 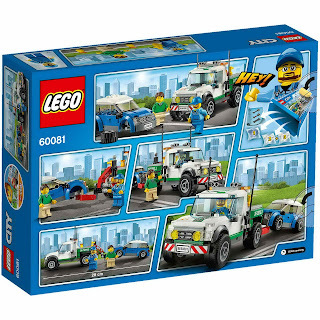 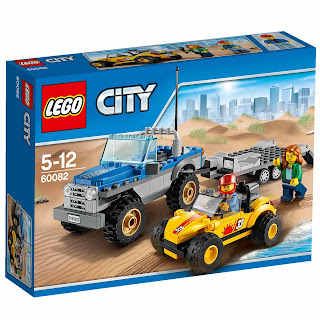 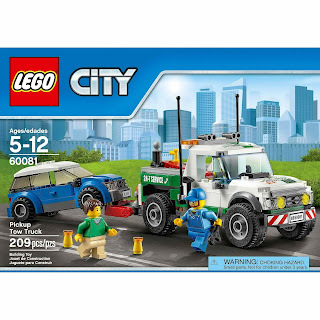 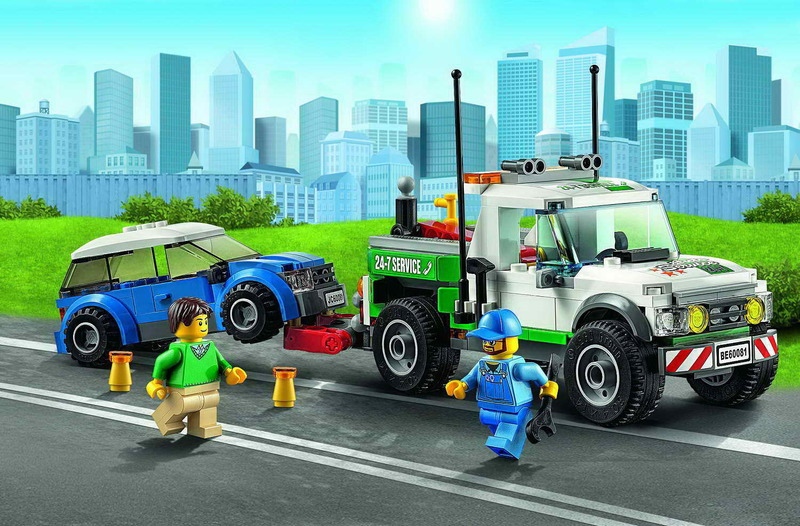 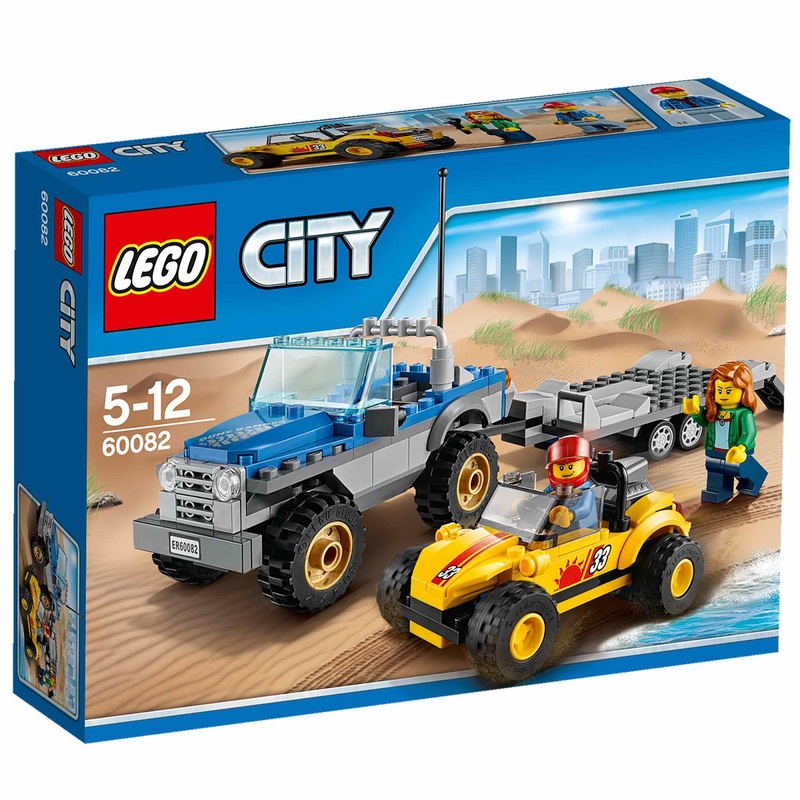 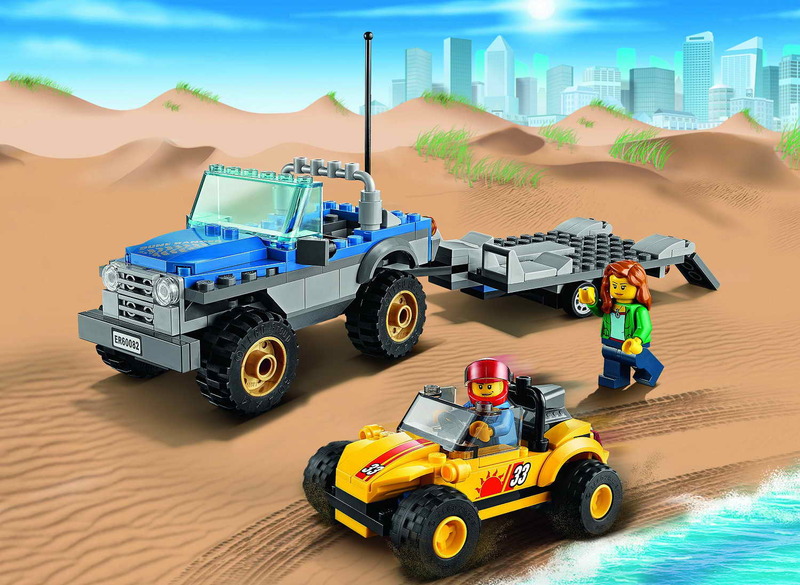 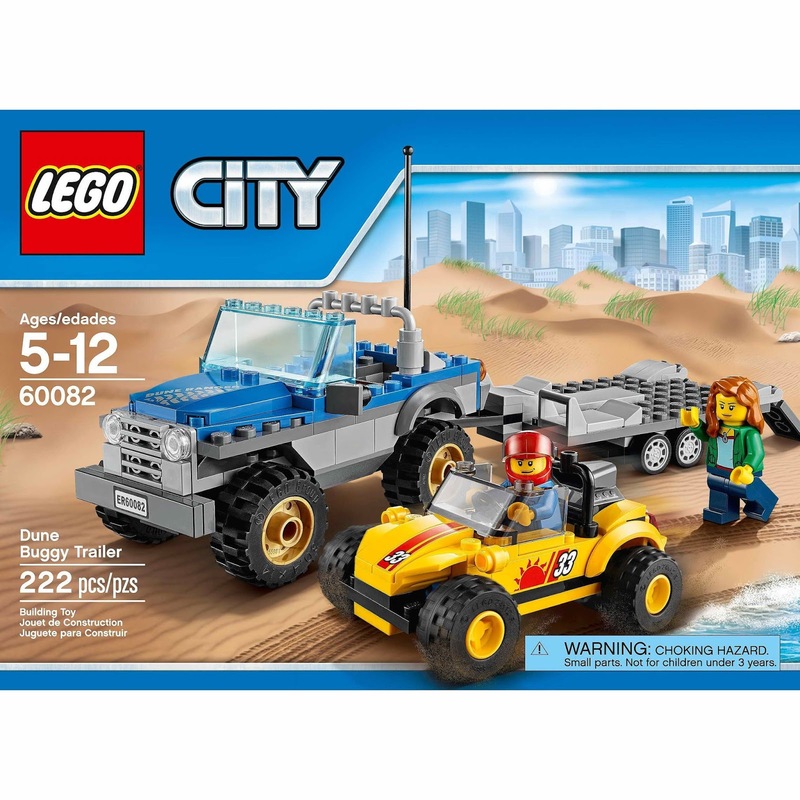 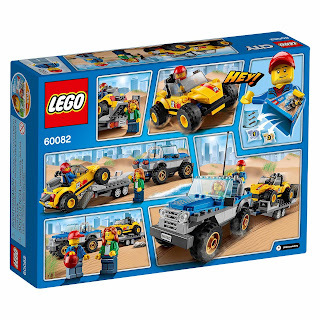 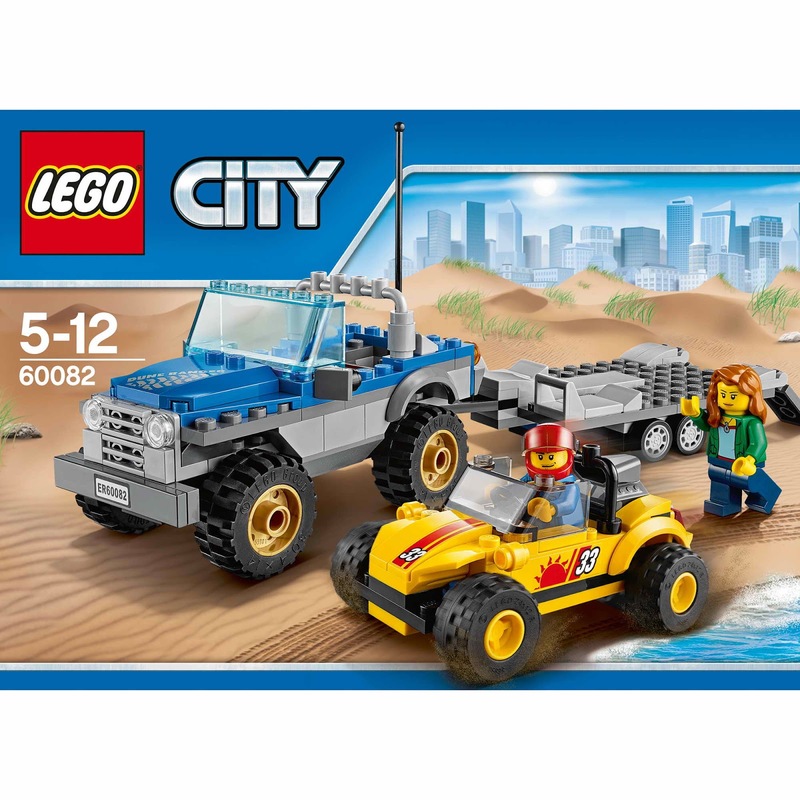 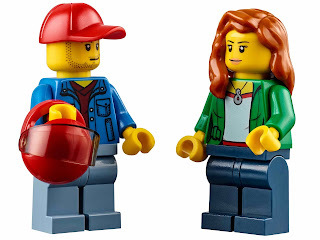 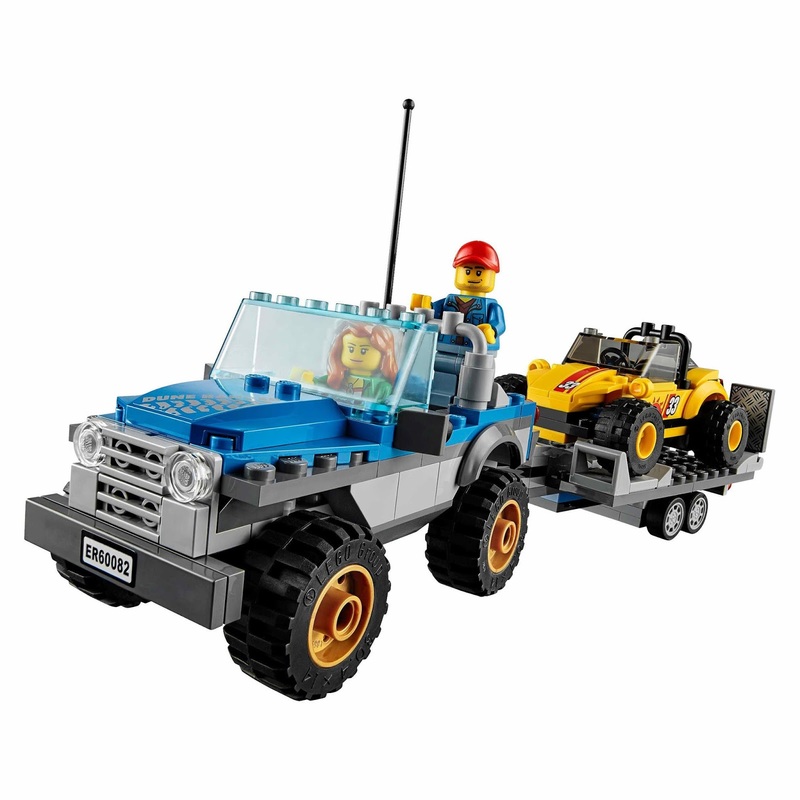 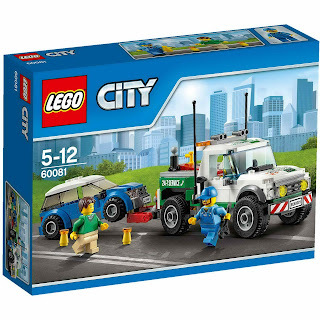 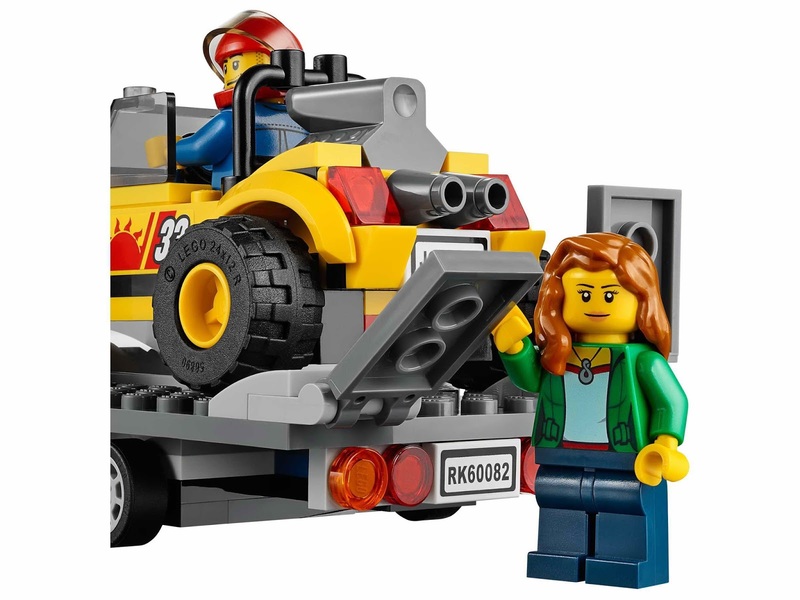 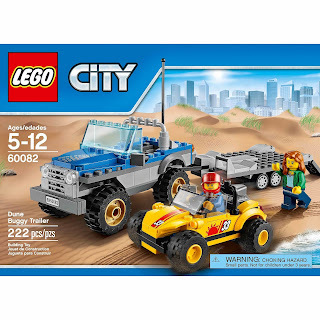 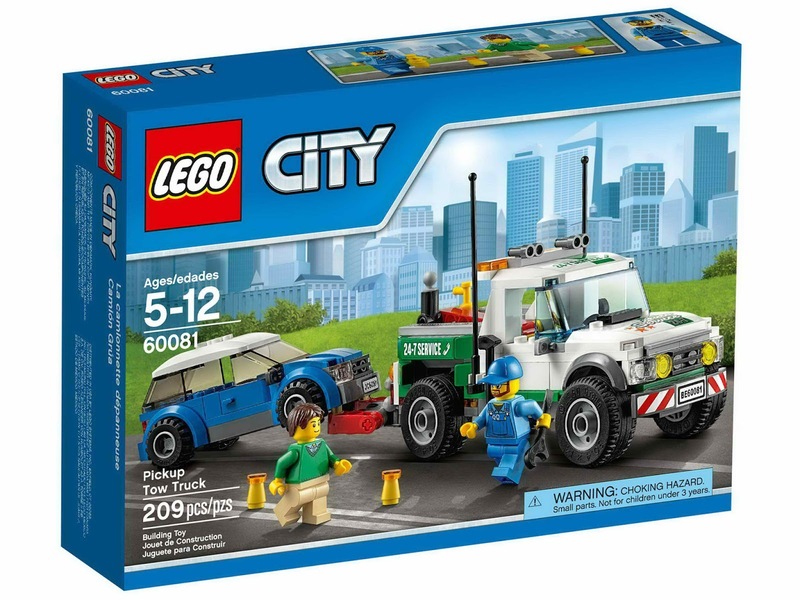 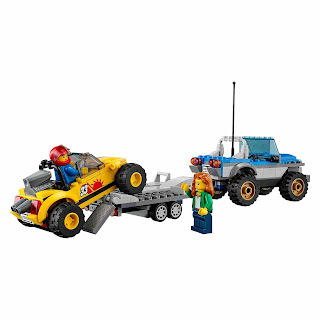 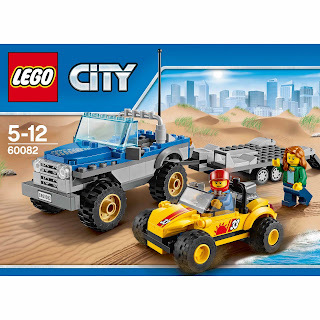 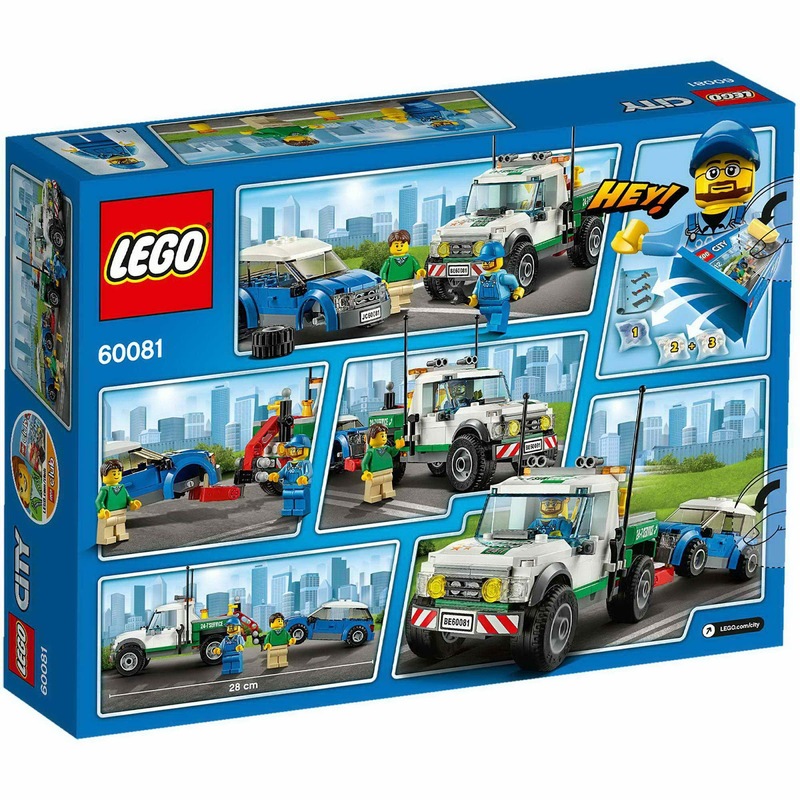 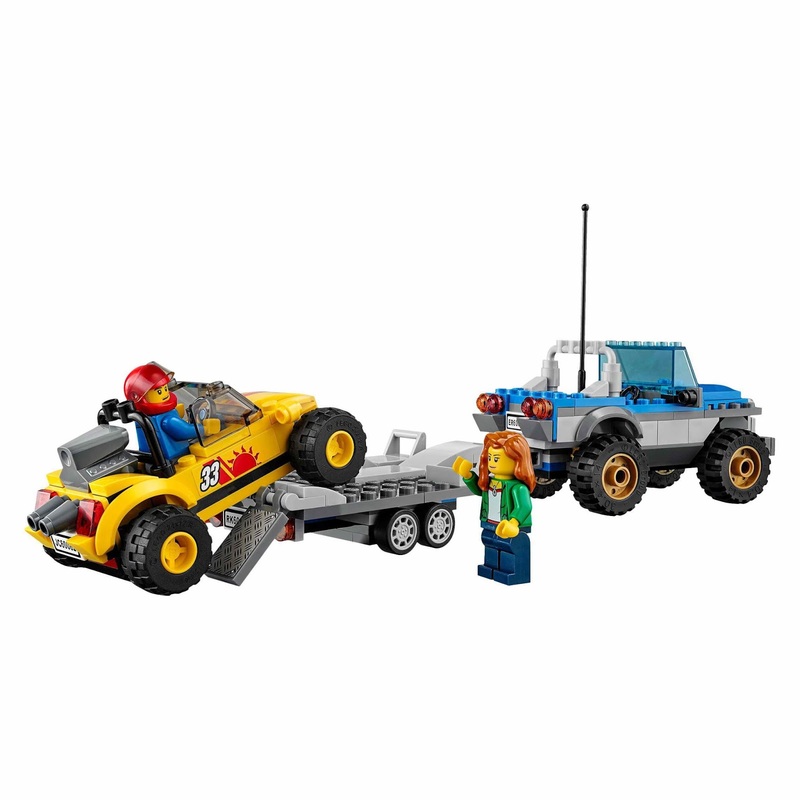 minifigs included a motorist minifig and a mechanic minifig. 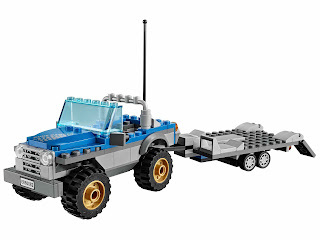 come with a 4x4 truck, a detachable trailer with foldable ramps and a dune buggy.